Curiosity makes people move; it makes them think and learn more. I’m so grateful whenever somebody shares a new idea, a new plan or simply something new he or she learned. My friends at EADA are always doing this; they want to discover and grow, and they always want others to be part of their development. The “Stay hungry, stay foolish” quote has motivated many people since it was said, but trust me, when someone has internalized it, you can tell. Last March, a classmate from the Management course published a post about the Summit in Berlin on the Master Facebook group. In the Summit, select students from all over Europe are invited to attend around 35 interviews with recruiters from the most interesting startups of the Berliner scene. As EADA has a policy allowing students to miss class for job interviews, I decided to apply to the Summit. Luckily, I was accepted and booked my flight along with 4 other EADA students. As an Italian and a lover of the sea, the idea of moving to the “hace frio” country of Germany had never crossed my mind before. But I figured, Why not give this historical, fast-moving city a chance, as it has so much to offer to young talent at the moment? On April 6, we attended the first day of the Summit, where we had the opportunity to hear from keynotes speakers such as the Communication Manager of Twitter, the CEO of Experteer, the Marketing Managers of both Uber and McKinsey. Later on, we were split into groups visit companies including Wooga, GoButler and Axel Springer. The next day was very similar: we started by choosing the track we liked the most (Media, Mobility, Living) and we went around the city, participating in mini-meetings with the companies we liked the most. Each day around 7:00 pm, we came back to the meeting point for formal interviews with the recruiters that interested us. It was way more fun and interesting than a traditional career fair! And forget about your suit and tie; Berlin is relaxed, flexible and open to those who are cool and different. There, being yourself and showing how you handle real-life situations is probably more important than perfect grades in your Master courses. The point is that some of us came back from the event with really good contacts. We are still proceeding with second- and third-round interviews, both in-person and via Skype. The Summit in Berlin showed me a very fast-growing, quick-moving environment that I just wanted to throw myself into. I would never have discovered this environment if it weren’t for curiosity: the curiosity of my colleague to find out about the event out, my own curiosity to know what he knew that I didn’t, and the curiosity of the recruiters to discover new talent for their companies. When you feel like feeding that instinct that tells you to move, search, travel and discover, don’t let it die from hunger, because it’s going to kill your own future. When you decide to enroll in a school like EADA, you choose to be surrounded by people who don’t ever stop to rest. 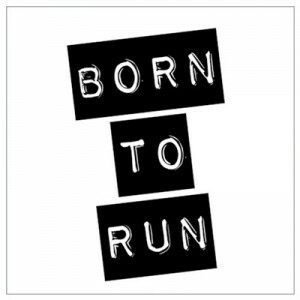 Now, as my former boss used to say, are you “Born to Run”?